In Torah this week, Re’eh (see) is the first word of the portion. “See, this day I set before you blessing and curse…” Our Sages teach that the word is written here in the singular form. In subsequent uses, the word is written in the plural form. The reason is that while the commandments are set before the whole people (plural form), each individual must ‘see’ (singular form) for oneself. Together or alone, we see with more than our eyes. Seeing also suggests knowing and understanding, as in “I see what you’re saying.” To see something, therefore, means to be understanding of an idea in the abstract. When God said to the Israelites, “See, this day I set before you blessing and curse,” it could only mean that the people were becoming aware of what God placed before them to enjoy or to suffer. In ancient times, limitations on one’s ability to see and know could be a permanent obstacle to full participation in the boundary of the Jewish community. Unfortunately, long ago a blind or mentally challenged person could be excluded from fulfilling mitzvot for himself or on behalf of others. Thankfully, in our times the ability to see has multiplied. Physical advances enable us to see with better lenses in our glass frames and through surgery. Developmentally, we have better ways to teach so that seeing and knowing is extended to all levels of learners. Today, there are few if any limitations that would exclude one from full participation in the Jewish community. At Congregation Beth Israel, we give all our children the benefit of resources and support to accomplish what they can do at their very best. Our Aliyah (go up) program is designed for children with learning and physical challenges but whose potential to engage in Jewish life at Beth Israel is still great. The goal of Aliyah is to engage children with other children, their rabbis and cantor, and enthusiastic teachers. As they learn, each child prepares for the day when he or she will be called up (Aliyah) to the Torah at the age of bar or bat mitzvah. 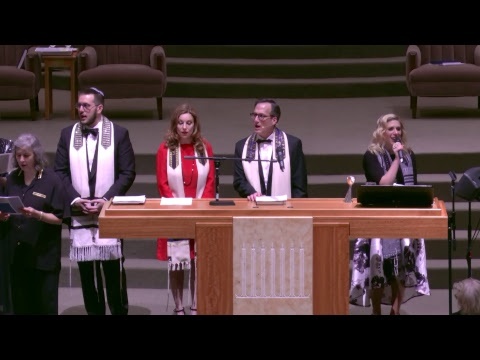 The service, tailored to their abilities, signals that every child can be a full Jewish adult in the eyes of the community and always a blessing from God. Likewise, adults need resources and support. Seeing and knowing are not easy when change happens swiftly and abruptly, technologically and globally. Who among us can accomplish everything we need to do without a network of specialized helpers? The pressure to keep up while maintaining equilibrium in personal and professional situations is among the challenges we struggle to master. Family can be helpful. Friends can be helpful where family cannot be. Professional mental health resources play a key role in supporting us. So do religious leaders who draw on reliable sources for ethical and moral guidelines that still speak to us today. In Houston, there is truly no excuse for not calling, reaching out, or asking for help. It’s not a sign of weakness; rather, it’s a sign of strength because few of us can solve all our problems alone, let alone identify the problem in the first place. Seeing with clear vision is a blessing. Feeling unable to navigate safely is a curse. God didn’t promise only clarity; but, God did warn us that both the blessing and the curse are part of life. How we choose to find our way will depend on our willingness to raise a hand, place a call, or email a note to ask for what we need. God did promise that there’s always a way forward. If you or someone you know needs a helping hand, a listening ear, or a strong shoulder, please reach out. In this month before the Jewish New Year, the time is ripe for renewing health, well-being and peace.